For many of us baby boomers, it is a definite problem. We never worried about going to the doctor as a child because we never went. Well, that is not exactly true. We just never wanted to go. The outcome was never good for us. If we were so sick that we felt we were dying then we didn’t care and quietly went to see the man with the white jacket. However, now is another problem. High blood pressure, you must make a regular visit to the doctor. Catch the flu or pneumonia, to the doctor you must go. Your knee hurts, off you go. Chest pain, shortness of breath, injury, fall, head injury, severe back pain, high fever, diarrhea and vomiting, severe abdominal pain, you need to see a physician. The sooner the better. How to choose a good physician is a problem we all need help with. For an emergency, you may not want to go to the emergency department and just sit and sit and sit and wait. The final choice of what physician to visit may be the one who can see you right now, not tomorrow or in 2 weeks from today. For those of us who have time to consider who we want as our primary physician, the choice is part of a meaningful and imperative decision-making process. You can talk to your relatives and friends but they may be of little help. After all, they are in the same position you are. Try looking online. Every business has an online presence today. Pictures of the physicians and staff may help. You may get a feel for the age of the physician or the makeup of the physician’s group if that is an important item to you. How well were patients treated? Was the doctor professional and knowledgeable? These questions and more can be answered by reading all about it. The reviews give the good, the bad, and the ugly. If a physician has no reviews at all most of us are very wary. Does the business not allow reviews? Then they must be horrible. Are there a lot of very good reviews? The physicians in that practice must be doing something right. That situation is much more appealing. Perhaps you call the doctor’s office and have a horrible experience on the phone. Well, that one is a definite no. Let’s go with the scenario that the receptionist did great phone and you feel important to that office. You make the appointment and hope for the best. 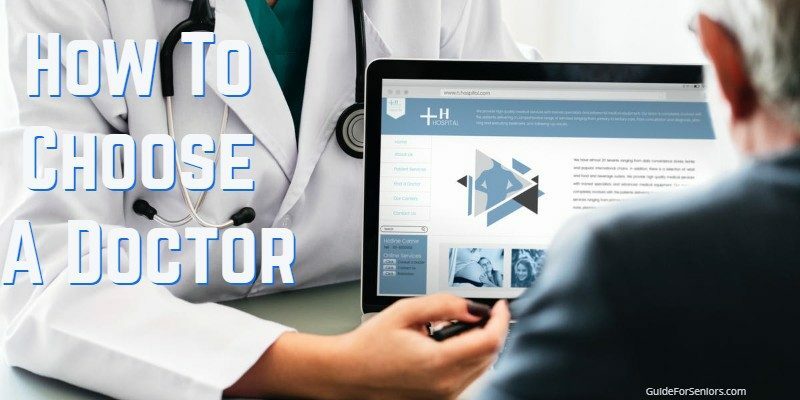 Did you know that many physician’s offices have a system that will automatically ask you for a review and make it easy for you to respond? I like this. It means that office is concerned about me and perhaps has made important changes requested by others just like me. If most reviews are good and there are many great things said about that office, that doctor must be a saint or perhaps he has listened to his patients and made important improvements. Everyone likes to give their opinion. However, it is only worth giving if the asker takes it seriously and is accommodating. Patients usually have valid complaints. After all, we are the ones consistently in that waiting room and we know problems that the staff can not know or maybe does not want to know. How Much Does The Patient Experience Matter To Your Doctor? Guide for Seniors has researched some of the review software that the medical community uses. MedRev, Birdeye and Repugen are a few. From the research we have done, it appears that MedRev is the only one that caters ONLY to the medical community. My health data is important to me and I do not want anyone else but my doctor to see it. I know that is a whim but I want to believe that my information is in good hands. Just remember the next time you see great reviews, maybe that means that doctor really does care as he has asked his patients what is important to them. Hopefully, he tries hard to eliminate the common problems we all have with a physician and his or her office. He will know what they are only if he has asked us. I never worried about going to the doctor when I was a child but now that I have to, I must visit the man with the white jacket. I do not feel that I may be dying but what if the problem is insurmountable. I check the web and get an appointment as I take the last of my blood pressure medication. Read more on the Guide For Seniors for tips for you and your health.